My buddy Erik Underwood designed this. It’s Jimmy and me at last summer’s Whisky Live event. 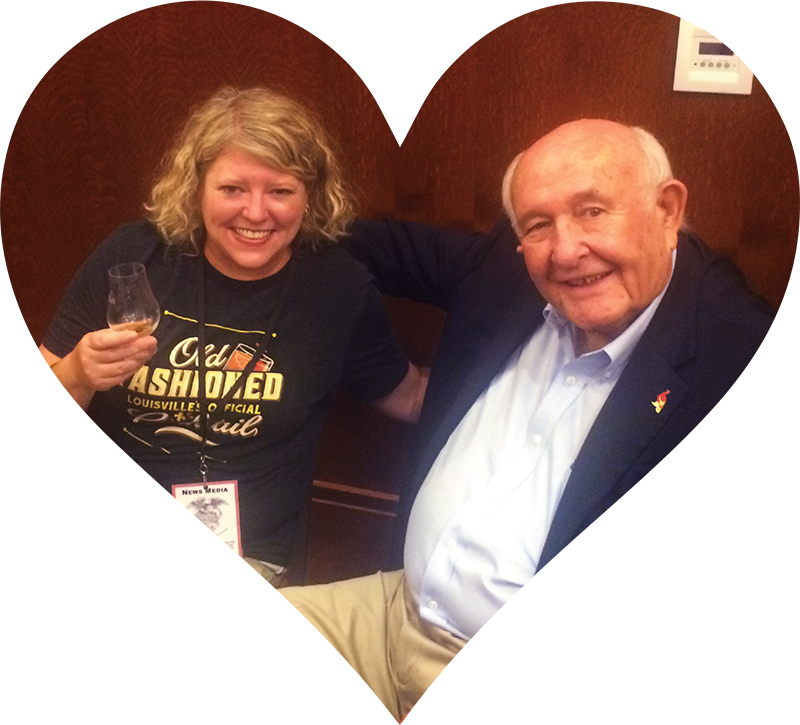 Caught up with Wild Turkey master distiller Jimmy Russell last night at Westport Whiskey & Wine. He was conducting a tasting of six Turkey products and signing bottles as well. Like the nerd I am, I brought in a bottle of Kentucky Spirit I had, and ended up buying a bottle of Russel’s Reserve 10-Year as well, just so I could get his autograph and get close to the man who has been working in the industry for 63 years. He had a lot of wisdom to impart, including: “You know it’s time to stop drinking when the eyes of the turkey on the bottle start blinking.” He also warned us of the potent juice that comes from dogging a barrel, which means adding a gallon of water to an empty bourbon barrel and rolling it around for a few days.